She’s known for her relaxed, effortless style at public events and Goldie Hawn didn’t disappoint in the style department as she hit the red carpet for a charity event in California last week. 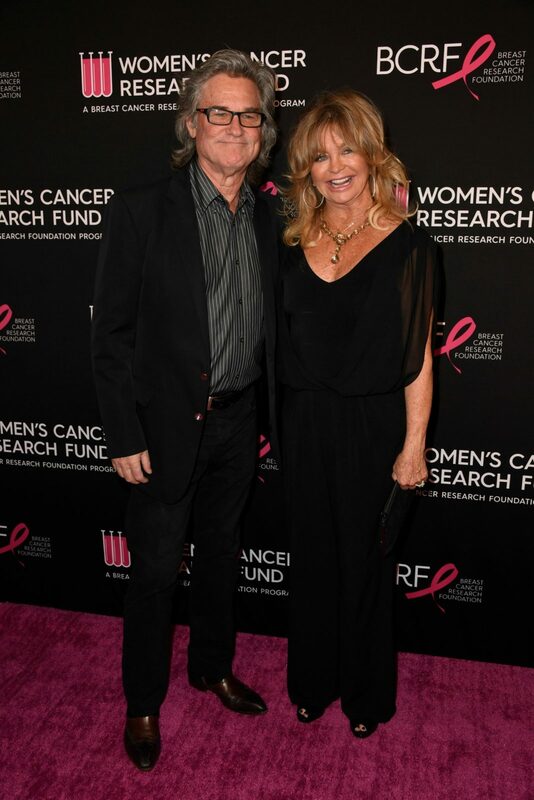 Joined by her partner of 36 years Kurt Russell, the 73-year-old actress looked glamorous in a sheer black jumpsuit as she posed for photos at The Women’s Cancer Research Fund’s, An Unforgettable Evening Benefit Gala. Wearing her beautiful blonde locks styled in soft waves, Goldie kept her accessories simple opting for a silver pair of earrings and a coordinated necklace. Meanwhile, Kurt, 67, looked dapper in a black suit matched with a grey dress shirt. 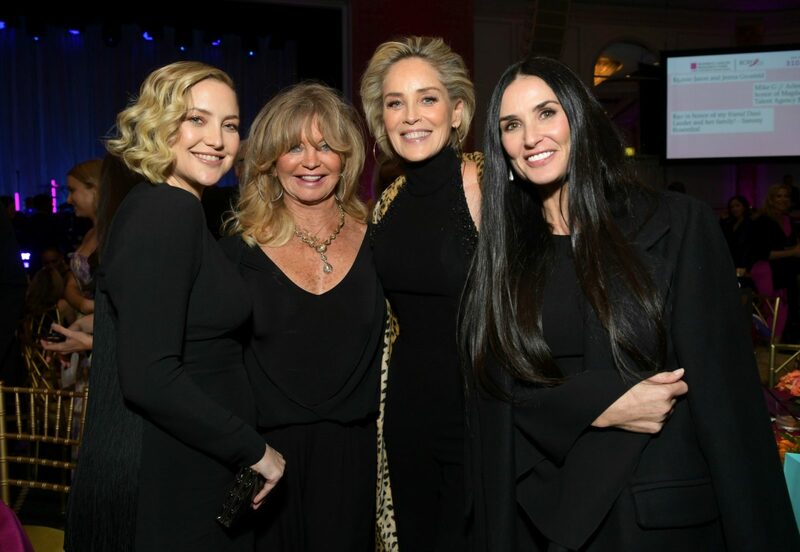 Goldie joined a star-studded lineup at the Beverly Wilshire Four Seasons Hotel, with the likes of Demi Moore, Sharon Stone, Rita Wilson and Hawn’s own daughter Kate Hudson also making an appearance. The Women’s Cancer Research Fund, a program of the Breast Cancer Research Foundation, supports innovative research, education and outreach directed at the development of more effective approaches to the early diagnosis, treatment and prevention of women’s cancers. The event was a chance to pay tribute to those who had survived cancer and to honour those who sadly succumbed to the disease. During the evening Rita, who is married to fellow actor Tom Hanks, discussed her own battle with cancer. She was diagnosed in 2015 and later underwent a bilateral and reconstructive surgery. Elsewhere, Demi, 56, showed off her fabulous sense of fashion as she stepped out in a chic black dress. The stunning actress certainly had heads turning in the floor-length, figure-hugging frock, proving how a simple dress can be transformed into something amazing. Meanwhile, Sharon Stone wowed crowds in a black jumpsuit with jewel-encrusted detail. The 60-year-old actress paired the outfit with a striking cheetah print coat and a pair of statement gold hoops, looking every bit the leading lady that she is. Are you a fan of these actresses? Who’s your favourite actor?